Building long-term relationships is important to us at Zannino Engineering. Listening to our client feedback allows us to strengthen our relationships with architects, developers, engineers, and construction contractors throughout Richmond, Virginia and the surrounding areas. 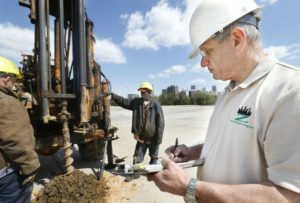 Founded in 1991, we have received more than a few testimonials while providing engineering, geotechnical, environmental, laboratory, material testing, and related construction services. Our strength lies in our long history in Virginia and the years of personal experience of our employees with Zannino Engineering and other geotechnical and testing firms. All key staff have advanced degrees in civil, geotechnical and environmental engineering. We are grateful to have had unlimited opportunities to apply our skills and education to solving practical problems while servicing design, development and construction professionals. The following includes a few example testimonials we received in the local press, etc. Please let us know if you have any feedback to share with us. Thanks!